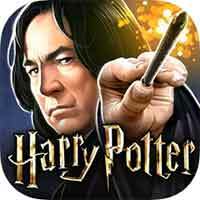 Guide for Year 5 Chapter 14 Harry Potter Hogwarts Mystery Mischief Managed Walkthrough – You learn more about Scrabbers and the bit of old parchment you found, discovering that they’re connected, and everything leads back to Rakepick. I know i’m not the best at keepin’ secrets, but did yeh find anythin’ else? Reassure Ben to Find Out His Secret! You think i’m mad, don’t you? Do you know why i’m hard on you?